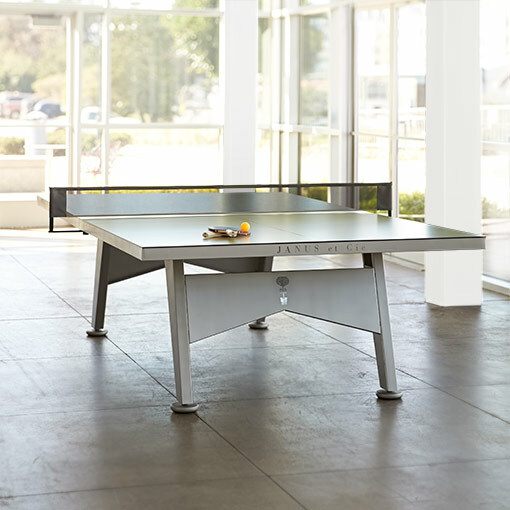 Whether in a functional, modern corporate office or prominently placed in a family game room, our expertly engineered recreation tables are well suited for playful spaces indoors or out. 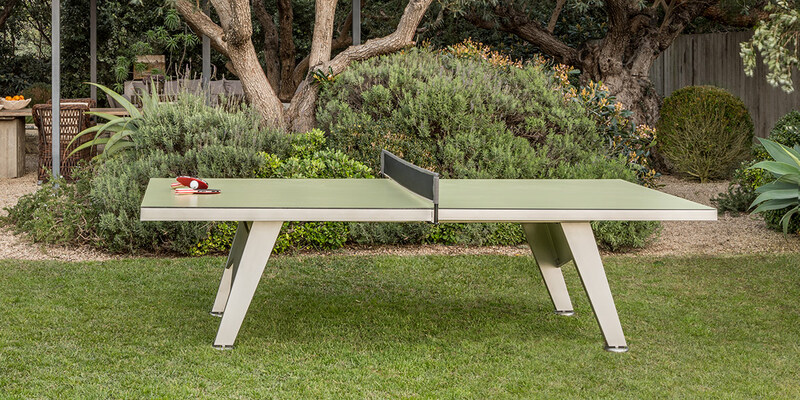 Constructed in stainless steel and outfitted with an olive green playing field, the chic JANUS et Cie Table Tennis Classic is ready-to-play with two paddles, six balls and a cover. 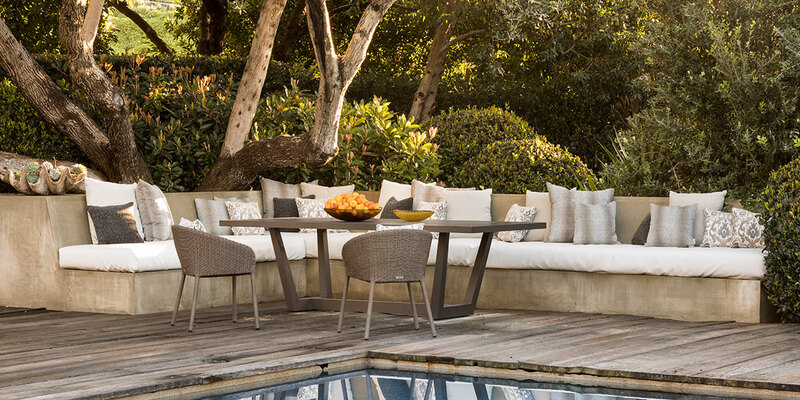 With clean, beautiful design elements, this extraordinary table redefines outdoor sports. 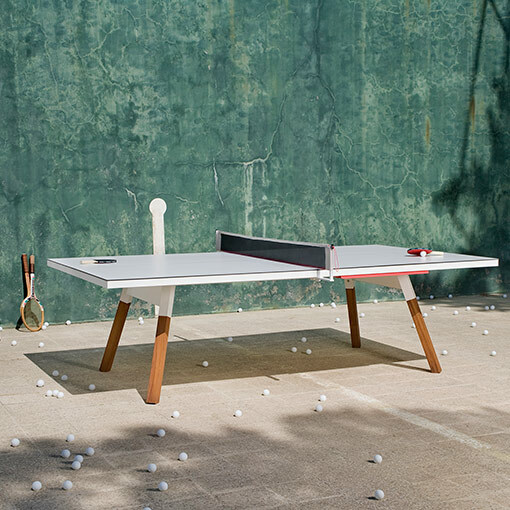 A folding version of this Table Tennis Classic is also available for easy storage. 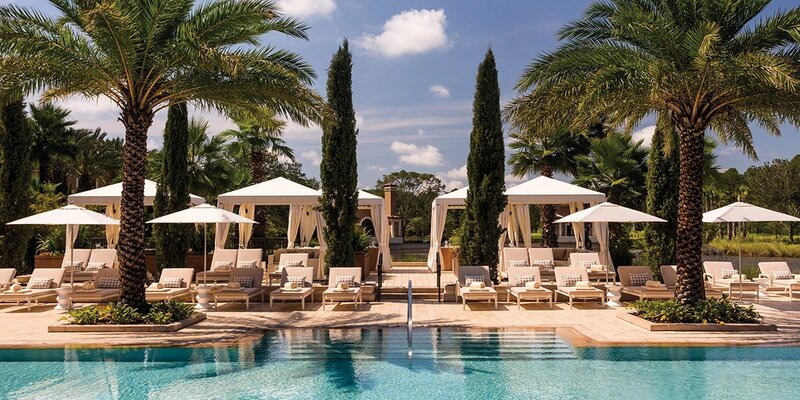 Adding a natural element to recreation spaces, the elegantly modern Cross Court Table is crafted with powder coated steel and iroko wood legs. This stunning table transforms a traditional setting into dynamic and interactive space, all while inspiring a bit of friendly competition. 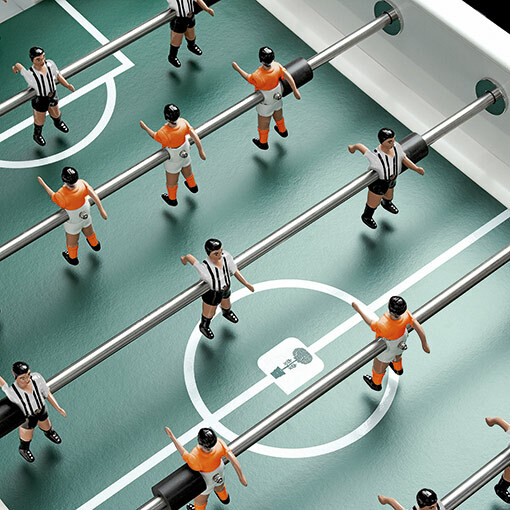 For those interested in a highly customizable option, our iconic Foosball Table features standard players in black and white or orange jerseys, with an option to special order custom-painted teams. Bringing high-design to a classic game, this Foosball Table boasts a sleek steel frame—either stainless or a smooth painted finish—a green playing field, rubber-soled levelers and even beverage holders for four players. Well played!